Alexa Chung in her Chelsea wrap coat. The OG. Elin in her Chelsea. Martha Hunt rocking a Chelsea. With Fall peeking around the corner, I've taken a sharp eye to my closet. I really don't need a lot of clothes -- I really do not wear a lot of different clothes. 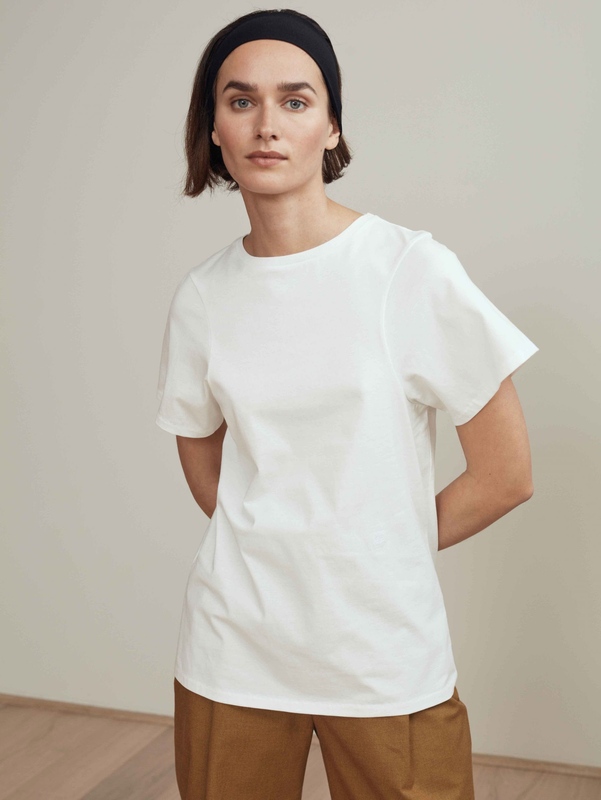 What I need are really high quality basics that I can wear day after day, year after year. Feel me? In examining my closet - trying to figure out what works and what doesn't - I realized that some of my most trusted basics are by Totême, the Swedish fashion and lifestyle brand started by blogger and fashion sensation Elin Kling in 2014. Every piece of Totême in my closet is a piece that is front and center, a piece that hasn't gotten pushed the ends of the rack because it doesn't end up working, a piece that has held up under multiple washings and wearings, a piece that still feels great every time I put it on. Below, I have pulled out some of my favorite pieces from my closet and a few that I have my eye on. 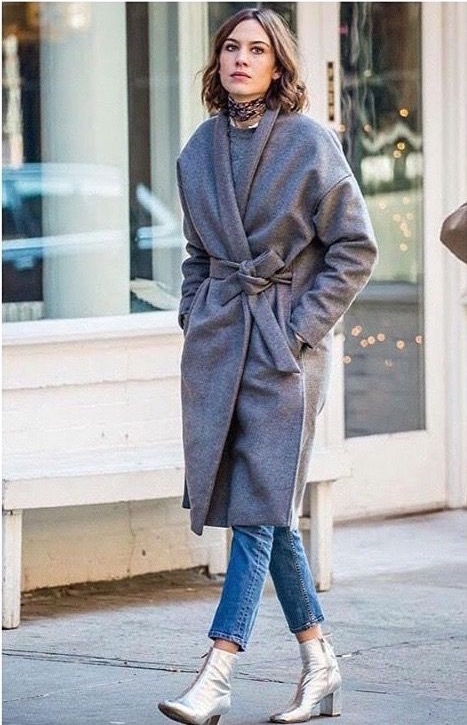 Chelsea Wrap Coat - I bought this coat in Black about four years ago and it has become a crucial part of my winter wardrobe. It is sophisticated enough to go over anything you might be wearing out to dinner and looks totally lit with jeans and boots, jeans and heels, jeans and tennis shoes. 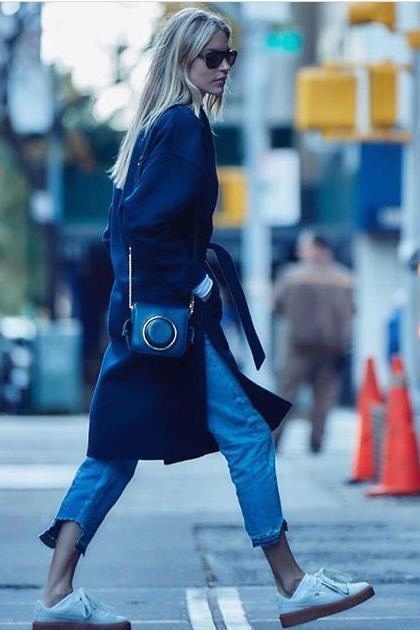 It regularly shows up in street style pics - a darling of the fashion set. 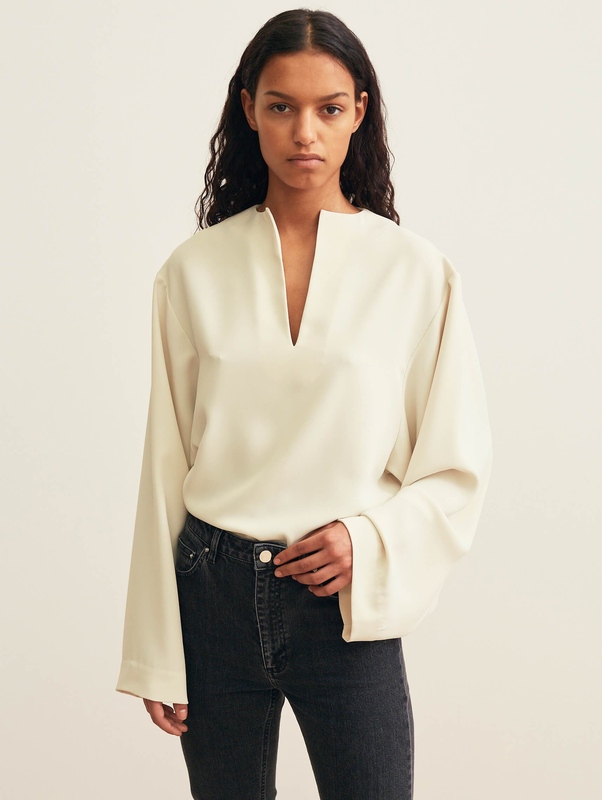 ‍White Gervasi Blouse - This blouse is at the top of my "Basics to Buy" list for Fall. 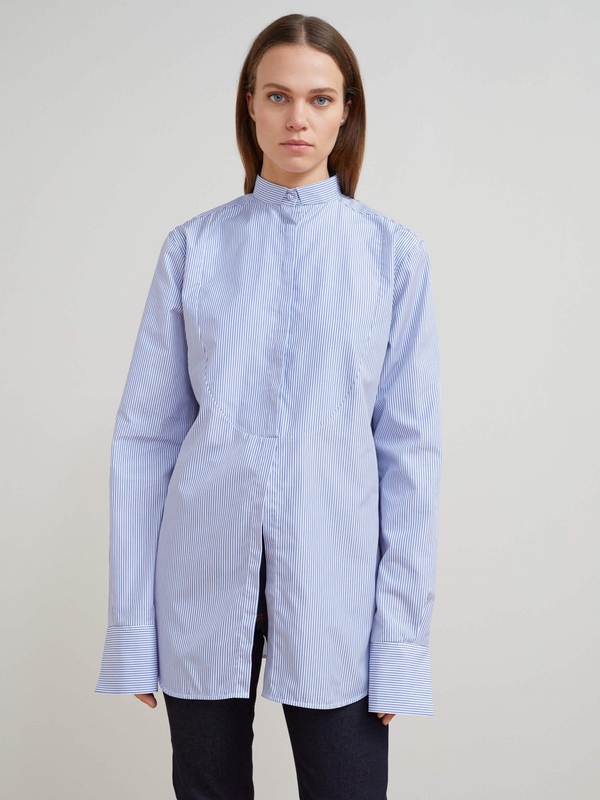 I intend to wear it daily with blue and/or black denim and bust it out with black wool trousers and my black suede, pointed-toe Céline sling blacks for a sophisticated evening look. ‍Espera White Cotton T-Shirt - This is my favorite of all favorite white T-shirts. The quality of the cotton jersey is beyond. And then, the lines. Impeccable and stylish. ‍Palencia striped shirt - I bought this shirt this past weekend while shopping in a new favorite boutique, Pilot Powell, on Magazine Street in New Orleans (love!!!). I immediately fell in love with it - the cuffs turn up (obvi) and you don't have to go over-sized (I bought the XS for a more tailored look). I expect to be able to wear this everyday through Fall, Winter, and Spring, with denim and a nice pair of loafers as a sort of uniform. 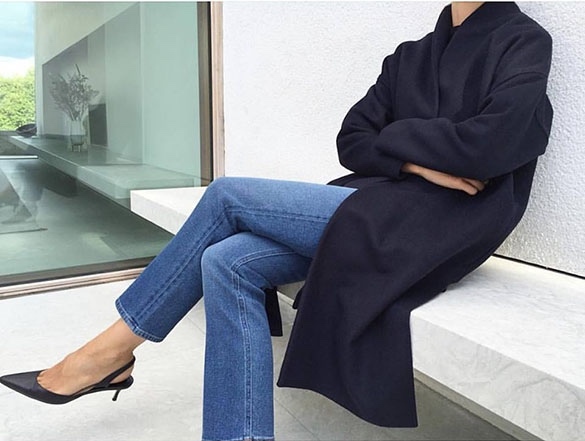 ‍High-rise, slim-leg, rigid denim - Rigid denim is by now a closet basic. It's dressier and looks so polished when accesoried in black. 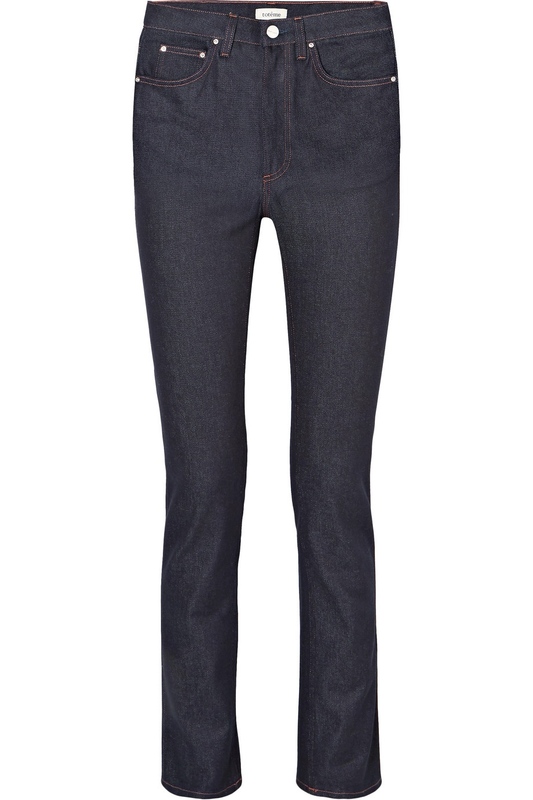 Totême rigid denim is perfection - a waist that is high but not too high, a leg that is narrow but not too narrow. Just right. 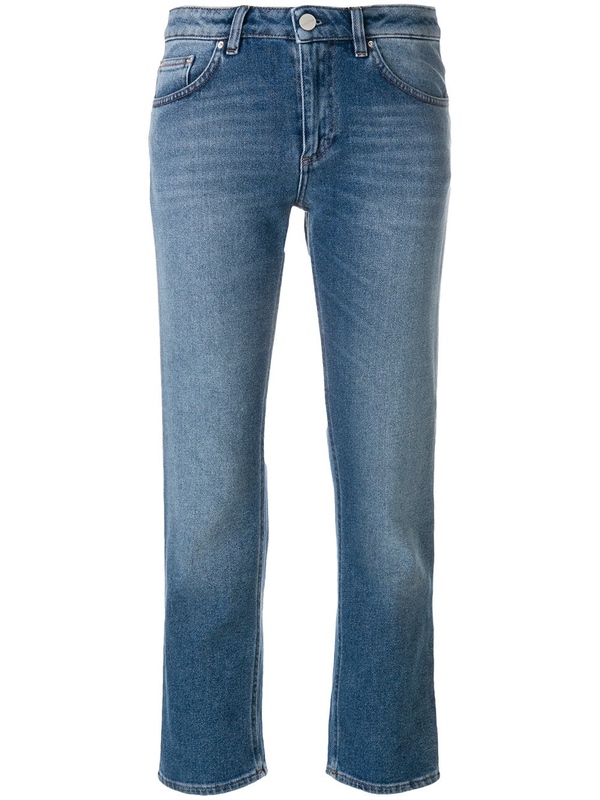 ‍Cropped Straight Jean - I am so in love with these. They are the perfect go everywhere jean. Again, where Totême gets it right is in the cut - the waist line and leg are cut to elongate and slim. These look incredible with a blazer and booties for Fall. ‍Santos Jacket - I've got my eye on this jacket. I love it!! 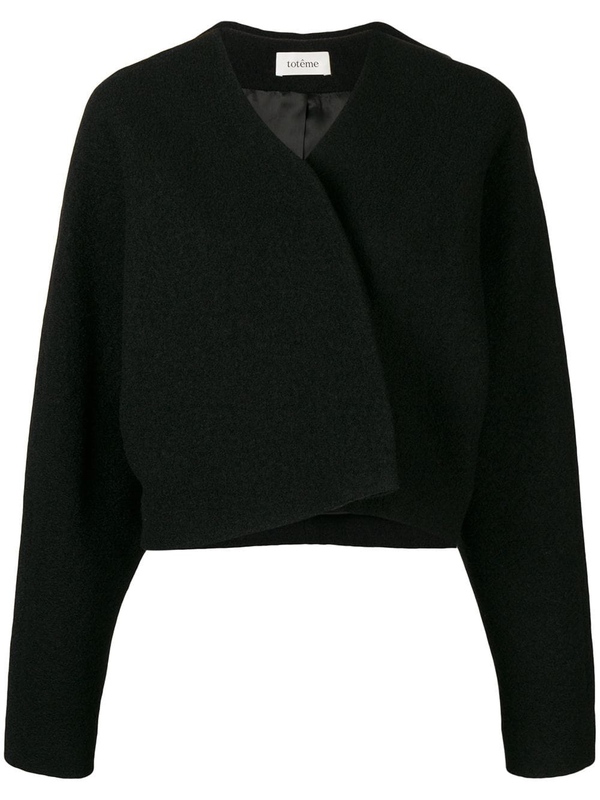 Perfection with a button down and denim or with wool trousers. ‍Annecy Coat - The reason I love this coat is because a more budget friendly (but by no means inexpensive) take on a a much pricer look by The Row, which I adore (check it out here). Check it out here. And, a camel coat, especially with the paired down tailoring can really take you anywhere. I am dying for it but not sure I have the budge for even the down market option.